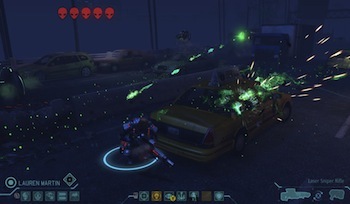 Free DLC pack Second Wave adds a dozen new gameplay options to XCOM: Enemy Unknown. Christmas may have passed, but the gifts keep rolling in. Packaged as a free game update, a new DLC pack lands today for the popular strategy game XCOM. Available for all platforms, Second Wave extends the already highly-replayable title with a host of new features and mods, most aimed at making the game more difficult. Modders found out about the existence of features that were cut for lack of time time a few months back. Since then, it seems that Firaxis has had time polish them off and send them out to gamers waiting eager-eyed for fresh punishments like more critical hits and marathon mode. For those who already have a few campaigns under their belt and are looking for a new challenge, Second Wave will give you a good excuse to ignore your mundane responsibilities and save the world one more time. Even players who don't take advantage of the update should still be able to appreciate the free update on principle. XCOM designer Jake Solomon openly admitted to Joystiq of a naked conspiracy to abduct your free time. "One of the values we offer people who play our games is [that] we really want to reduce the dollar cost per hour spent on our games. We want to consider ourselves to be one of the greatest game values that there is." â€¢ Damage Roulette: Weapons have a wider range of damage. â€¢ New Economy: Randomized council member funding. â€¢ Not Created Equally: Rookies will have random starting stats. â€¢ Hidden Potential: As a soldier is promoted, stats increase randomly. â€¢ Red Fog: Combat wounds will degrade the soldier's mission stats. â€¢ Absolutely Critical: A flanking shot guarantees a critical hit. â€¢ The Greater Good: Psionics can only be learned from interrogating a psionic alien. â€¢ Marathon: The game takes considerably longer to complete. â€¢ Results Driven: A country offers less funding as its panic level increases. â€¢ High Stakes: Random rewards for stopping alien abductions. â€¢ Diminishing Returns: Increased cost of satellite construction. â€¢ More Than Human: The psionic gift is extremely rare.